During your stay with us at Rivertime Lodge you are most welcome to take a walk along the riverbank to the Tauterata Shingle bank or a more energetic walk around our farm. This is a very pleasant 10 minute walk alongside the riverbank from the Lodge to the Tauterata landing which has a large shingle bank when the river is low. There are many beautiful stones of all shapes and colours and a great place to skip stones across the river. It is also a good place to swim on a hot Summer day. The Ridge walk is a very popular walk with our guests. Part of it is along the Whanganui River road and the rest is along well formed farm tracks. There is a steady climb up to the Ridge but you are rewarded with awesome views of the river valley. 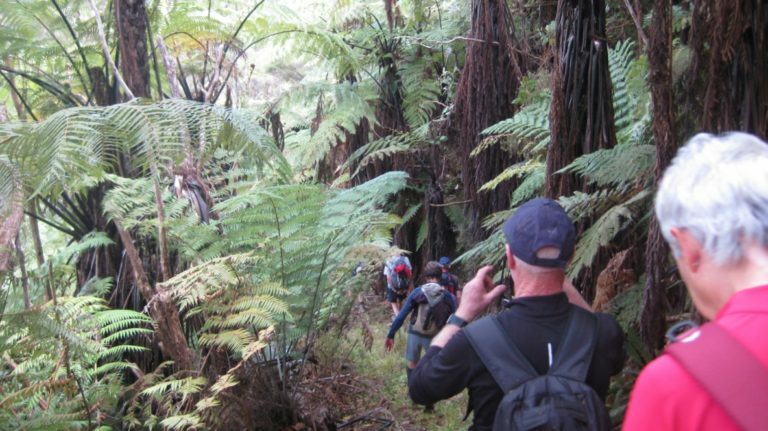 Then it is an easy walk along the Ridge through farmland and Manuka Forest followed by a fairly steep descent through bush and beautiful native ferns back down to the road and along to your accommodation. For a much longer walk the Atene Skyline Walk is ,just 4 ks away in the Wanganui National Park. 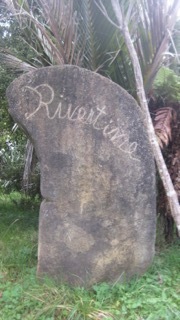 Biking – Cycle the Mountains to Sea cycleway which passes by Rivertime Lodge. Jet boating or canoeing — can easily be arranged for you during your stay. Contact Whanganui Scenic Experience Jet & Canoe Hire for more details and options.